The new Acura RDX is making a name for itself throughout Port Washington with its style and grace. Inside this model you’ll fall instantly in love with the premium materials and finishes found throughout the cabin, as well as spacious legroom for everyone who sit inside and features like AcuraLink. Toss in two powertrain options for enhanced speed and agility, various technology features for cabin innovation, and plenty of safety features to make your ride more enjoyable in Manhasset so you can worry less. If you’re looking for a luxury model that has it all, this would be the vehicle you want to choose. 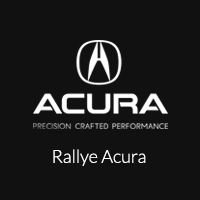 The best thing about the new Acura RDX model is that you can take one for a test drive today at Rallye Acura. We have a great selection for you to choose from, so stop by today at 1750 Northern Boulevard in Roslyn, NY to find the one that’s right for you. If you’d like, don’t hesitate to contact us at 516-508-9147 for more information.